Gorilla DJB200 complete DJ booth and lighting stand system. 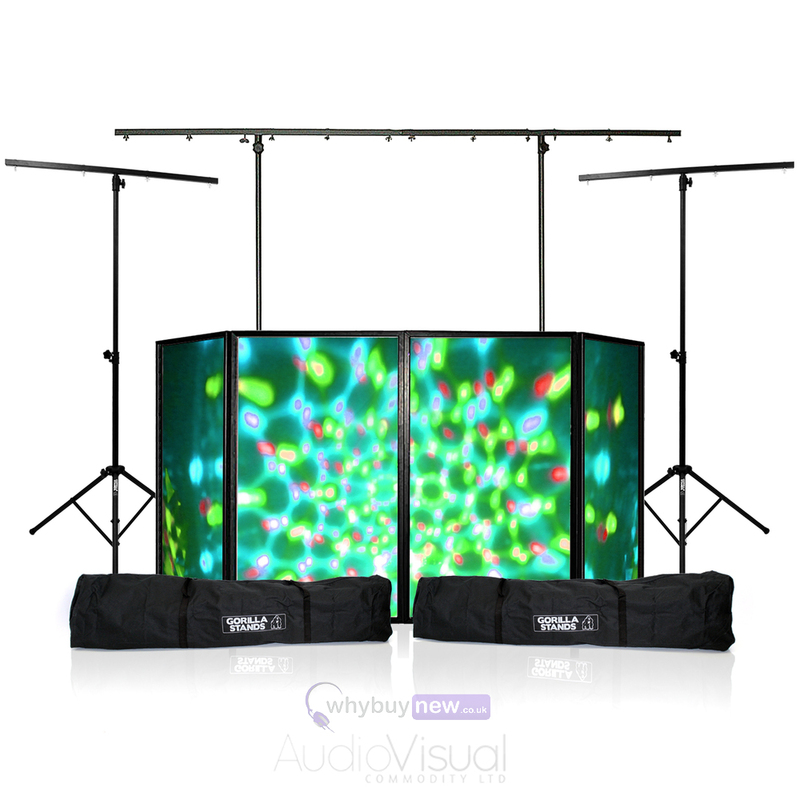 Perfect for mobile DJs, the Gorilla DJB200 DJ Booth is the complete support solution for your rig as well as integrating the innovative DJ Light Screen which provides stunning focal point at your next event. 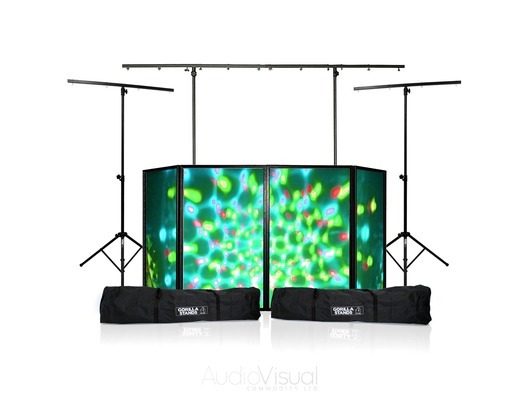 The Gorilla DJB200 complete DJ booth also includes two additional lighting T-bars for a complete rig. These additional T-bars offer tons of extra space making room for a total of up to 19 individual lighting effects across the whole set-up which will guarantee to set your rig apart from the rest. 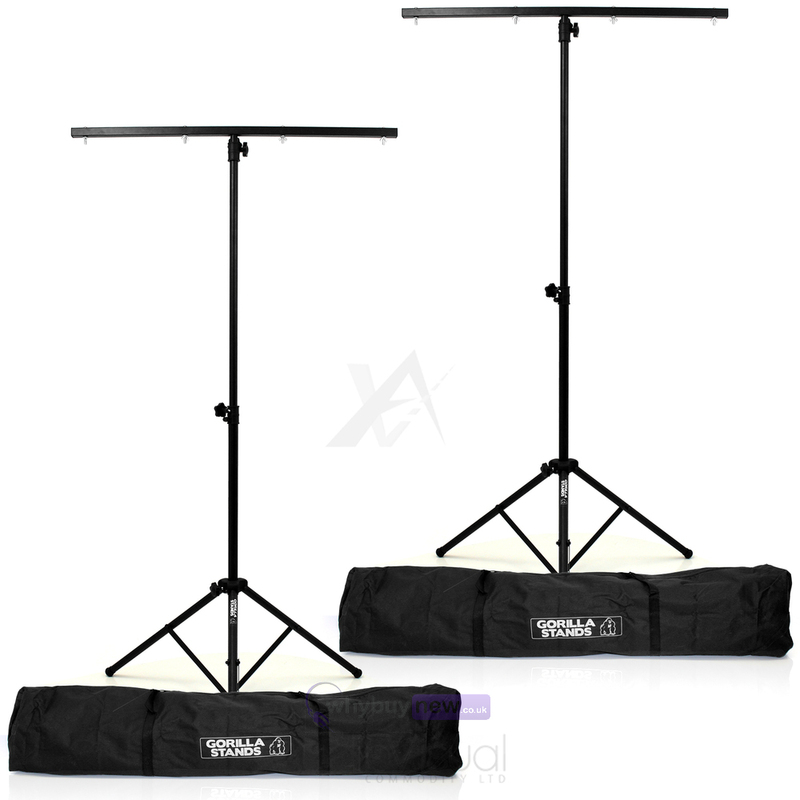 This complete set up comes with two handy equipment bags ideal for the T-bars, disco stand bars and DJ screen silks. 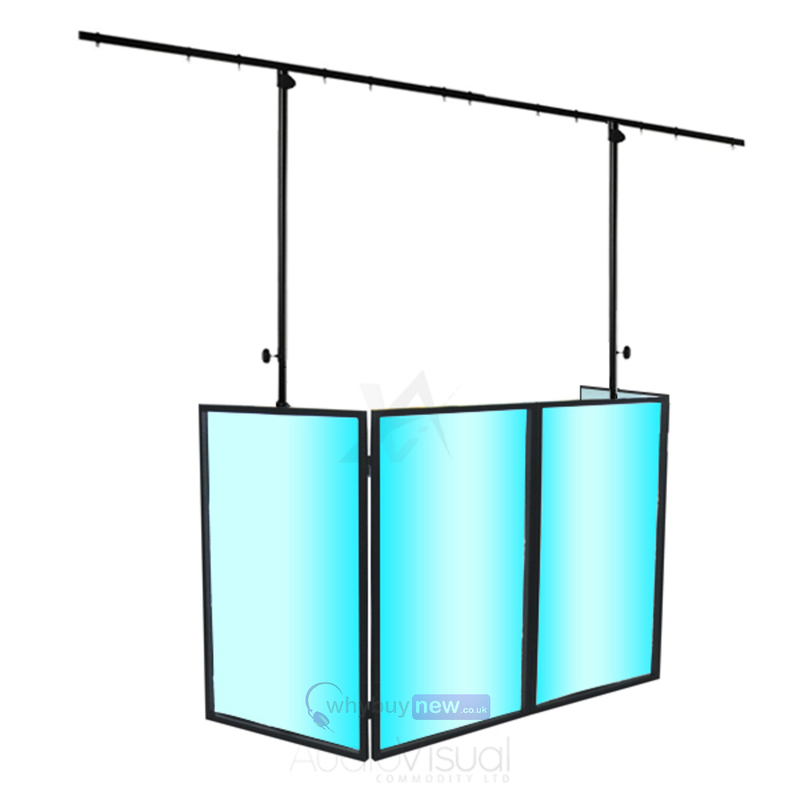 Gorilla DJ stands are highly-regarded for their strength, reliability and the quality of materials used. 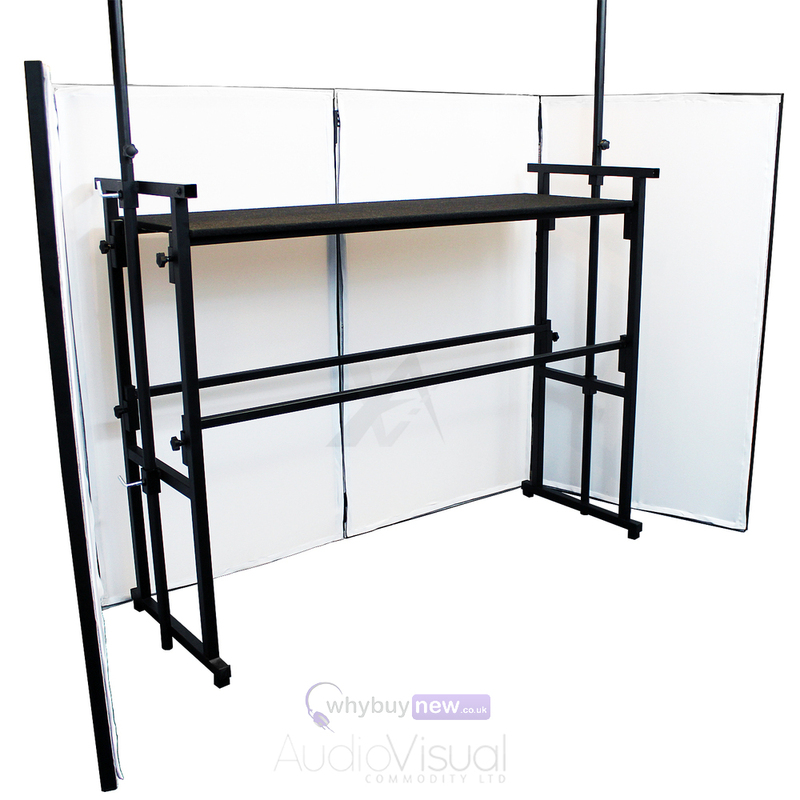 The Gorilla DJB200 DJ Booth combines these factors to create a complete support solution for your mobile disco. I am a mobile disco operaotor in N.Ireland - We use 3 of these setups/booths for disco's across the province. They are super cheap - made of a steel - and just simply work! You can customise brackets and extensions due to its simple designs. Every gig we carry out uses a Gorilla DJ booth. Replacement cloths are available and WhyBuyNew have replaced small little pieces for me on warranty.